Sjogren’s Syndrome is an autoimmune disorder, one of a number of diseases that can occur when the immune system mistakenly attacks the body’s own tissues. Sjogren’s Syndrome is an autoimmune disorder, one of a number of diseases that can occur when the immune system mistakenly attacks the body’s own tissues. With Sjogren’s, the immune system targets the glands that produce tears, saliva, and the body’s other lubricating secretions. 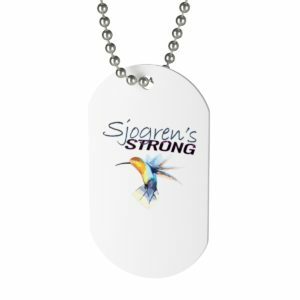 A high percentage of Sjogren’s Syndrome patients are women (90%); the Sjogren’s Syndrome Foundation estimates approximately four million Americans are affected with this disease. Sjogren’s Syndrome can occur at any age, even during childhood however the average age of diagnosis is late 40’s. Sjogren’s Syndrome can be either primary or secondary. Primary Sjogren’s Syndrome occurs in individuals who have no other autoimmune diseases while secondary Sjogren’s Syndrome affects those who have been previously diagnosed with another autoimmune disease. The condition is not widely known which in our opinion is the main reason for a slow diagnosis. 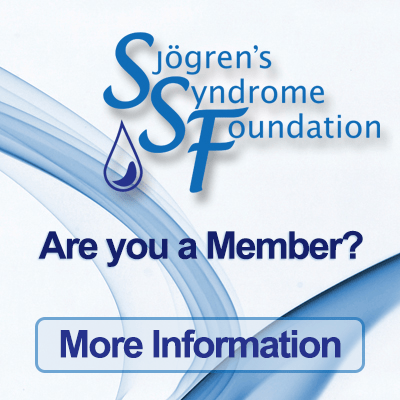 There is no single test that can diagnose Sjögren syndrome. Usually your Doctor will order laboratory tests and other types of tests, and the results are considered with other factors such as signs and symptoms and results of a physical exam to make a diagnosis. Antinuclear antibodies (ANA) — a primary test for autoimmune disorders; this test is also positive in most cases of Sjögren syndrome. Antibodies specific to Sjögren syndrome — Anti-SS-A (also called Ro) and Anti-SS-B (also called La); the tests for these antibodies are often performed as part of an ENA panel and are frequently positive. Anti-dsDNA — also used to evaluate people for autoimmune diseases; this test is usually specific for lupus, but low levels may sometimes be seen with Sjögren syndrome. There is no cure for Sjögren syndrome. Treatment can vary depending on the severity of symptoms. It is usually aimed at relieving symptoms and preventing or minimizing complications and damage to tissues, such as the surface of the eye. Dry eyes can be treated with over-the-counter or prescription artificial tears, tear stimulants, and/or thicker eye lubricants. Sometimes plugs may be inserted into the drainage ducts in the eyes to help tears remain on the surface of the eyes. Dry mouth may be helped by frequent small drinks of water or sugarless chewing gum to stimulate saliva production, and mouth lubricants can be used as necessary. 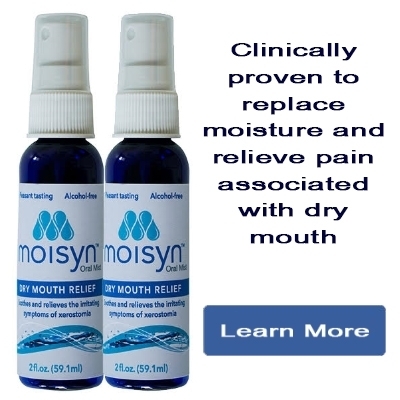 In some cases, medications that increase saliva production may be prescribed. Regular dental care and checkups are important as those affected are prone to cavities. Joint pain and other arthritis symptoms are treated with anti-inflammatory medicines, such as aspirin and other NSAIDs. In some severe cases when internal organs of the body are affected, drugs that dampen the immune system (immunosuppressants) and steroids may be prescribed. 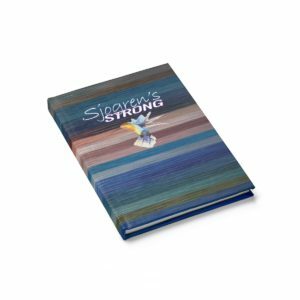 Sjögren syndrome usually affects people differently so it is important to discuss options with your Doctor to decide on the best treatment plan. Below are definitions of common terms you will hear or read as you learn more about Sjogren’s Syndrome. This alphabetized list will help you find the word you are looking for. ACR (American College of Rheumatology): A professional association of United States rheumatologists. Criteria (definitions) of many rheumatic diseases are called the ACR Criteria. adenopathy: A swelling of the lymph nodes. In Sjögren’s, this usually occurs in the neck and jaw region. albumin: A protein that circulates in the blood and carries materials to cells. alveoli: Air sacs of the lungs. amylase: An enzyme present in saliva; another form of amylase is produced by the pancreas. Analgesic: A drug that alleviates pain. angular cheilitis: Sores at the corners of the mouth (angles of the lips). antibody: Substance in the blood that is normally made in response to infection. Also referred to as immunoglobulins such as IgG, IgM, etc. anticentromere antibody: Antibodies to a cell nucleus associated with scleroderma. anticardiolipin antibody: An antiphospholipid antibody. anti-DNA (anti-double-stranded DNA) : Antibodies to DNA; seen in half of patients with lupus. anti-ENA (extractable nuclear antibodies): A group of antibodies that includes anti-Sm and anti-RNP. antigen(s): A chemical substance that provokes the production of antibody. In tetanus vaccination, for example, tetanus is the antigen injected to produce antibodies and hence protective immunity to tetanus. antimalarial drugs: Quinine derived drugs, which were first developed to treat malaria and can manage Sjögren’s, such as hydroxychloroquine (Plaquenil). ANA (antinuclear antibodies): Autoantibodies directed against components in the nucleus of the cell. Screening test for lupus and other connective tissue diseases including Sjögren’s. antispasmodic drugs: Medications that quiet spasms. Usually used in reference to the gastrointestinal tract. antiphospholipid antibody: Antibodies to a constituent of cell membranes seen in one-third of those with SLE. In the presence of a cofactor, these antibodies can alter clotting and lead to strokes, blood clots, miscarriages, and low platelet counts. Also detected as the lupus anticoagulant. anti-RNP: Antibody to ribonucleoprotein. Seen in lupus and mixed connective tissue disease. anti-Sm: Anti-Smith antibody; found only in lupus. anti-SSA (Ro antibody): Associated with Sjögren’s, sun sensitivity, neonatal lupus, and congenital heart block. anti-SSB (La antibody): Almost always seen with anti-SSA. arteriole: A very small artery. arthralgia: Pain in a joint. arthritis: Inflammation of a joint. ascites: An abnormal fluid that collects in the abdomen due to certain liver and other disorders. atrophy: A thinning of the surface; a form of wasting. autoantibody: Antibody that attacks the body’s own tissues and organs as if they were foreign. autoimmunity: A state in which the body inappropriately produces antibody against its own tissues. The antigens are components of the body. B cell or B lymphocyte: A white blood cell that makes antibodies. basal rate (resting): Unstimulated (used in reference to both tears and salivary flow). bolus: a small rounded mass of a substance, especially of chewed food ready to be swallowed. bronchi: Branches of the trachea. buffer: A mixture of acid or base that, when added to a solution, enables the solution to resist changes in the pH that would otherwise occur when acid or alkali is added to it. cartilage: Tissue material covering bone. The nose, outer ears, and trachea consist primarily of cartilage. Anti-Smith antibody; found only in lupus. chronic active hepatitis: A disorder that occurs when viral hepatitis proceeds in an active state beyond its usual cause. calcification: A process in which tissue or noncellular material in the body becomes hardened as the result of deposits of insoluble calcium salts. candidiasis: Moniliasis. A condition due to an overgrowth of the yeast (fungus) candida. cariostatic: Having the ability to help prevent dental caries. complete blood count (CBC): A blood test measuring the amount of red cells, white blood cells, and platelets in the body. congenital heart block: A dysfunction of the rate/rhythm conduction system in the fetal or infant heart. collagen vascular disease: See connective tissue disease. connective tissue disease: A disorder marked by inflammation of the connective tissue (joints, skin, muscles) in multiple areas. 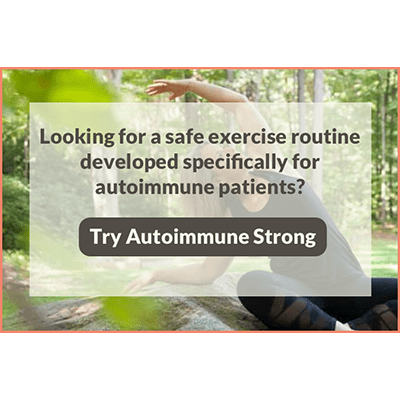 In most instances, connective tissue diseases are associated with autoimmunity. cornea: The clear “watch crystal” structure covering the pupil and iris (colored portion of the eye). It is composed of several vital layers, all of which are functionally important. The surface layer, or epithelium, is covered by the tears, which lubricate and protect the surface. corticosteroid: A hormone produced by the adrenal cortex gland. Natural adrenal gland hormones have powerful anti-inflammatory activity and are often used in the treatment of severe inflammation affecting vital organs. The many side effects of corticosteroids should markedly curtail their use in mild disorders. crossover syndrome: An autoimmune process that has features of more than one rheumatic disease. cryoglobulins: Protein complexes circulating in the blood that are precipitated during cold. cryptogenic cirrhosis: A liver disease of unknown etiology (origin) in patients with no history of alcoholism or previous acute hepatitis. dermatomyositis: An autoimmune process directed against muscles associated with skin rashes. diuretics: Medications that increase the body’s ability to rid itself of fluids. double-blind study: One in which neither the physician nor the patients being treated know whether patients are receiving the active ingredient being tested or a placebo (an inactive substance). dysorexia: a diminished, disordered, or unnatural appetite. dysphagia: Difficulty in swallowing. In Sjögren’s this may be attributable to several causes, among them a decrease in saliva, infiltration of the glands at the esophageal mucosa, or esophageal webbing. dyspnea: Air hunger resulting in labored or difficult breathing, sometimes accompanied by pain. ecchymosis: A purplish patch caused by oozing of blood into the skin; ecchymoses differ from petechiae in size. edema: Swelling caused by retention of fluid. ELISA (enzyme-linked immunosorbent assay): A very sensitive blood test for detecting the presence of autoantibodies. epistaxis: Nosebleed or hemorrhaging from the nose, which may be caused by dryness of the nasal mucous membrane in Sjögren’s. erythema: A medical term for a red color, usually associated with increased blood flow to an inflamed area, often the skin. esophagus: A canal (narrow tube) with muscular walls allowing passage of food from the pharynx, or end of the mouth, to the stomach. erythrocyte sedimentation rate (ESR): Measures the speed at which a column of blood settles. The most common and simple test for inflammation. etiology: The cause(s) of a disease. eustachian tube: The tube running from the back of the nose to the middle ear. exocrine glands: Glands that secrete mucus. exocrinopathy: Any disease of the exocrine system. exocrine glands: A gland that secretes outwardly through ducts. fibromyalgia: A form of non-neuropathic chronic neuromuscular pain associated with fatigue, disordered sleeping, and tender points in the soft tissues. fibrosis: Abnormal formation of fibrous tissue. fissure: A crack in the tissue surface (skin, tongue, etc.). fluorescein stain: A dye that stains areas of the eye surface in which cells have been lost. gene: Consisting of DNA, it is the basic unit of inherited information in our cells. genetic factors: Traits inherited from parents, grandparents, and so on. granuloma: A growth of abnormal tissue. human leukocyte antigens (HLA): A group of genes that governs the ability of lymphocytes, such as T cells and B cells, to respond to foreign and self-substances. immune system: The complex network of organs and blood cells that protect the body from foreign invaders, like bacteria, viruses, and fungi. immunogenetics: The study of genetic factors that control the immune response. immunoglobulin E (IgE): Antibody associated with allergies. immunoglobulins (gamma globulins): The protein fraction of serum responsible for antibody activity. Measurement of serum immunoglobulin levels can serve as a guide to disease activity in some patients with Sjögren’s. immunomodulators: Medications that affect the body’s immune system. immunosuppressive agents: A class of drugs that interferes with the function of cells composing the immune system. Drugs used in the chemotherapy of malignant disease and in the prevention of transplant rejection are generally immunosuppressive and occasionally are used to treat severe autoimmune disease. Also, see lymphocyte. incisal: Cutting edge (of a tooth). interstitial: Supporting structure of the substance of an organ or tissues. interstitial nephritis: Inflammation of the connective tissue of the kidney, usually resulting in mild kidney disease characterized by frequent urination. Interstitial nephritis may be associated with Sjögren’s. keratoconjunctivitis sicca: Condition, also called dry eye, that most frequently occurs in women in their forties and fifties. If it is associated with a dry mouth and/or rheumatoid arthritis, the condition is referred to as Sjögren’s. lacrimal: Relating to the tears. lacrimal glands: Two types of glands that produce tears. Smaller accessory glands in the eyelid tissue produce the tears needed from minute to minute. The main lacrimal glands, located just inside the bony tissue surrounding the eye, produce large amounts of tears. latent: Not manifest but potentially discernible. lip biopsy: Incision of approximately 2 cm on the inside surface of the lower lip and excision of some of the minor salivary glands for microscopic examination and analysis. lymph: A fluid collected from the tissues throughout the body, flowing through the lymph nodes and eventually added to the circulating blood. lymphocyte: A type of white blood cell concerned with antibody production and regulation. Collections of lymphocytes are seen in the salivary glands of Sjögren’s patients. lymphoma: A severe proliferation (increase) of abnormal (malignant) lymphocytes, manifested as cancer of the lymph glands. Although exceedingly rare, lymphoma occurring as a complication of severe Sjögren’s has been identified by immunologists. matrix: The section of the tooth enamel that holds calcium and phosphate minerals. mixed connective tissue disease: A connective tissue disease that manifests as an overlap of other connective-tissue disorders. Meibomian glands: Fat producing glands in the eyelids that produce an essential component of tears. mucin: Thinnest layer of the tear film; layer closest to the cornea. mucolytic agents: Medications that tend to dissolve mucus. Most patients with dry eye complain of excess mucous discharge. Some patients may benefit from these medications if other tear-film enhancing drops are not very effective. nephritis: An inflammation of the kidneys. neutrophil: A granulated white blood cells involved in bacterial killing and acute inflammation. nonspecific: Caused by other diseases or multiple factors. nonsteroidal anti-inflammatory drugs (NSAIDS): Anti-inflammatory agents blocking the action of prostaglandins used to treat pain that occur in rheumatoid arthritis and other connective-tissue disorders. Examples include ibuprofen (Motrin, Advil) and naproxen (Aleve). olfactory: Relating to the sense of smell. oral mucosa: The lining (mucous membrane) of the mouth. oral soft tissue: Tongue, mucous lining of the cheeks, and lips. otitis: Inflammation of the ear, which may be marked by pain, fever, abnormalities of hearing, deafness, tinnitus (a ringing sensation), and vertigo. In Sjögren’s, blockage at eustachian tubes due to infection can lead to conduction deafness and chronic otitis. otolaryngologist: Physician specializing in ear, nose, and throat disorders. palate biopsy: A punch biopsy near the junction of the hard and soft palates to sample the minor salivary glands in that region. parasympathetic nervous system: The part of the autonomic nervous system whose functions include constriction of the pupils of the eyes, slowing of the heartbeat, and stimulation of certain digestive glands. These nerves originate in the midbrain, the hindbrain, and the sacral region of the spinal cord; impulses are mediated by acetylcholine. parotid gland flow: An empirical quantitative measure of the amount of saliva produced over a certain period of time. Normal parotid gland flow rate is 1.5 ml/min. In Sjögren’s, the flow rate is approximately 0.5 ml/min, with diminution of the flow rate correlating inversely with the severity of the disease. parotid glands: One of the three pairs of major salivary glands. They are located in front of the ear. pericardium: The lining of the heart. photosensitivity: Sensitivity to ultraviolet light. pleura: A sac lining the lung. primary biliary cirrhosis (PBC): Impairment of bile excretion secondary to liver inflammation and scarring. pericarditis: Inflammation of the lining of the heart. periodontitis: Inflammation of the tissues surrounding and supporting the teeth. peripheral nerves: Nerves outside the central nervous system. petechia: A small, pinpoint, nonraised, perfectly round, purplish red spot caused by intradermal or submucosal hemorrhaging. placebo: An inactive substance used as a “dummy” medication. plaque: A thin, sticky film that builds up on the teeth, trapping harmful bacteria. plasma: The fluid portion of the circulating blood. pleurisy: Inflammation of the pleura (membrane surrounding the lungs and lining the walls of the rib cavity). polymyositis: A connective tissue disorder characterized by muscle pain and severe weakness secondary to inflammation in the major voluntary muscles. puncta: Small holes in the eyelids that normally drain tears. Patients with severe dry eye benefit from punctal closure, which allows maximal tear preservation. purpura: A condition characterized by hemorrhage into the skin, appearing as crops of petechiae (very small red spots). radioactive isotope: Radioactive material used in diagnostic tests. radionuclide studies: A technique in which radioactive isotopes, such as radiolabeled human serum albumin, are injected into an organ. A gamma scintillation camera, coupled with a digital computer system and a cathode ray display, reads the radioactive emissions. Areas of perfusion will show marked radiographic emissions; areas of obstruction will show no activity. Raynaud’s phenomenon: Painful blanching of the fingertips on exposure to cold. This may be seen alone or in association with a connective tissue disease. reflux: A regurgitation due to the return of gas, fluid, or a small amount of food from the stomach. rheumatoid arthritis: A form of arthritis characterized by inflammation of the joints, stiffness, swelling, synovial hypertrophy, and pain. rheumatoid factor: An autoantibody whose presence in the blood usually indicates autoimmune activity. rheumatologist: A physician skilled in the diagnosis and treatment of rheumatic conditions. rose bengal: A dye that stains abnormal or sick cells on the surface of the eye. This diagnostic dye allows your eye care provider to follow the treatment of dry eye. salicylates: Chemicals found in plants and are a major ingredient in aspirin and other pain-relieving medications. salivary scintigraphy: Measurement of salivary gland function through the injection of radioactive material. sarcoidosis: A systemic disease with granulomatous (nodular, inflammatory) lesions involving the lungs and, on occasion, the salivary glands, with resulting fibrosis. Schirmer’s test: The standard objective test to diagnose dry eye. Small pieces of filter paper are placed between the lower eyelid and eyeball and soak up the tears for five minutes. The value obtained is a rough estimation of tear production in relative terms. Lower values are consistent with dry eye. It is important to emphasize that no single test can be considered diagnostic unless the condition is severe. scleroderma: A connective tissue disorder characterized by thickening and hardening of the skin. Sometimes internal organs (intestines, kidneys) are affected, causing bowel irregularity and high blood pressure. secretogogue: A medication that can stimulate salivary flow. serum: The fluid portion of the blood (obtained after removal of the fibrin clot and blood cells), distinguished from the plasma in the circulation blood. sialochemistry: Measurement of the constituents in saliva. sialography: X-ray examination of the salivary duct system by use of liquid contrast medium. Radiologically sensitive dye is placed into the duct system, outlining the system clearly. signs: Changes that can be seen or measured. Sjögren’s antibodies: Abnormal antibodies found in the sera of Sjögren’s patients. These antibodies react with the extracts of certain cells, and a test based on this principle can be helpful in the diagnosis of Sjögren’s. See also SSA and SSB. Sjögren’s: A systemic autoimmune disease that affects the entire body. Along with symptoms of extensive dryness, other serious complications include profound fatigue, chronic pain, major organ involvement, neuropathies, and lymphomas. SLE (systemic lupus erythematosus): An inflammatory connective tissue disease. SSA: Sjögren’s syndrome–associated antigen A (anti Ro). SSB: Sjögren’s syndrome–associated antigen B (anti La). steatorrhea: Passage of large amounts of fat in the feces, as occurs in pancreatic disease and the malabsorption syndromes. sublingual glands: One of the three pairs of major salivary glands. They are located in the floor of the mouth under the tongue. submandibular glands: One of the three pairs of major salivary glands. They are located below the lower jaw. systemic: Any process that involves multiple organ systems throughout the body. synovitis: Inflammation of the tissues lining a joint. synovium: Tissue that lines a joint. T cell: A lymphocyte (white blood cell) responsible for immunologic memory. thymus: A gland in the neck responsible for immunologic memory. thrush: A form of candidiasis. Infection of the oral tissues with Candida albicans. thyroiditis: A disease in which autoantibodies cause immune system cells (lymphocytes) to destroy the thyroid gland. titer: Test showing the strength or concentration of a particular volume of a solution. Usually refers to amounts of antibody present. TMJ (temporomandibular joint): The joint of the lower jaw where the ball-and-socket arrangement is formed by the condyle of the lower jaw (the ball) and the fossa of the temporal bone (the socket). The joint space is filled with synovial or lubricating fluid. This joint and the surrounding synovial tissues may become inflamed if rheumatoid arthritis accompanies Sjögren’s and involves the joint. tracheobronchial tree: The windpipe and the bronchi into which it subdivides. UCTD (undifferentiated connective tissue disease): Features of autoimmunity such as inflammatory arthritis or Raynaud’s in a patient who does not meet the ACR criteria for lupus, rheumatoid arthritis or other disorders. ultraviolet light (UV light): A spectrum of light including UVA (320–400 nanometers), UVB (290–320 nanometers), and UVC (200–290 wavelengths). venule: A very small vein. viscera: The organs of the digestive, respiratory, urogenital, and endocrine sys¬tems, as well as the spleen, heart, and great vessels (blood and lymph ducts). vitiligo: White patches on the skin due to loss of pigment. xerostomia: Dryness of the mouth caused by the arresting of normal salivary secretions. It occurs in diabetes, drug therapy, radiation therapy, and Sjögren’s. xylitol: A sweetening agent with cariostatic properties.